Because nothing is more beautiful than thanking those who are close to you, in this article we are going to present the best Thank You card template examples. Each of these Thank You cards can be adapted to add a personal touch. Note that all the templates we are going to present are free for use, and can suit nearly all types of occasions. So, whether it’s for a friend, your significant other, or a family member, you are bound to find the perfect Thank You card. What can be more wonderful than a thank you card template example with beautiful lettering? 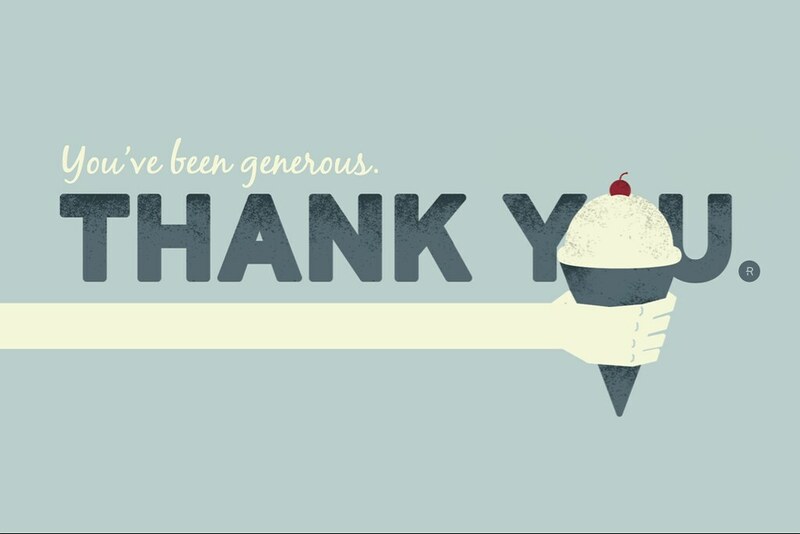 We recommend this thank you card for an elegant way of showing your gratitude. This card can be downloaded for free, and customized, as to include a more personal message. Add a dash of color and flamboyance with this unique purple and pink Thank You card template. This card features a purple hot air balloon adorned with flowers and colored bows. In the pink background, you can almost make out the discreet outlines of some several pieces of fine jewelry. We believe it’s ideal for a baby shower thank you note. Sometimes, opting for something more simplistic is better than choosing a complex and colorful design. This seems to be the message conveyed by this acrylic Thank You card which features a calligraphic “Thank You” phrase. The font is grass-green and eye-pleasing, and right next to it is a green metal fence surrounded by violets and other flowers. Use this card to say Thank You for all those great moments spent together, and to emphasize just how much that person means to you. 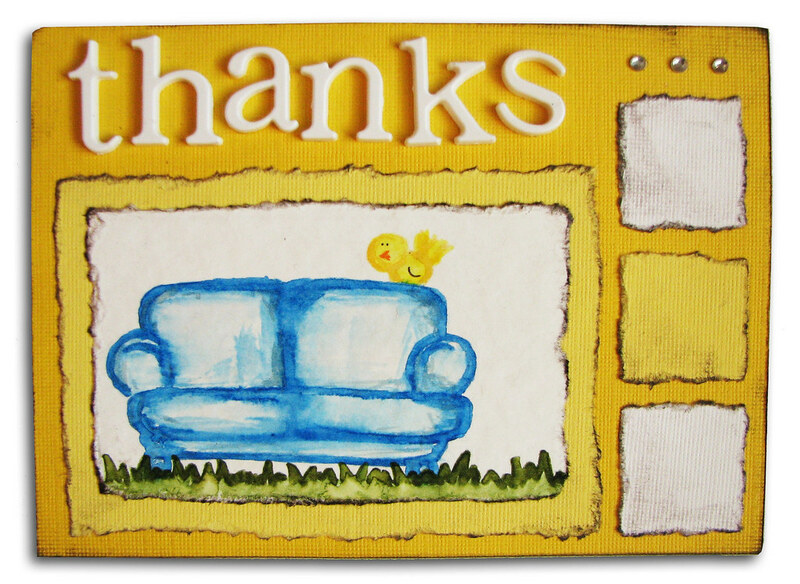 This Thank You card template is a variation on the “simple is better” motif. It features a blueish label-like designed with a “Thank You” message written in the middle. To give it just a little dash of color, the artist was careful to include some crude-green ferns and other woodland plants. This card can be further customized, as to include a more personal “Thank You” message. You can do this by using any type of photo editor. A superb and simple Thank You card template which features dandelion petals floating through the air and a “Thank You” message painted in sepia. This whole arrangement is accompanied by a papyrus-like background, which inspires, serenity, and silent elegance. The Dandelion Thank You card is perfect for a friend or family member who prefers vintage design. Do you want to say a special “Thank You” to your significant other? Then this romantic greeting card is just the thing you’ll need. Featuring a light blue background, this Thank You card template invites the addressee to dream and to remember. The Romantic Thank You card also features a light blue bird coop dangling in the air, and adorned with fresh-picked summer flowers. This funny child-drew Thank You card is guaranteed to wish away the frown from someone’s face. It has a white background on top of which is painted the outlines of yellow and white television, which features the image of Canary perching on a blue couch. The arrangement is amusing, and it is the perfect way of telling someone Thank You for all the great times spent together. Searching for some inspiration in choosing the right Thank You card? Then the quill and plaque Thank You card template will be your best choices. Featuring the picture of pink quill painted in acrylic, over a rainbow-like background, this is the perfect Thank You card for your S/O or perhaps, a family member. If you’re looking for an unconventional way of saying “Thank You” to someone, without being cheesy or too sentimental, then this Cards Against Humanity® inspired card is just the thing for you. It’s simple, amusing, and a truly unusual way of expressing sincerity. While elegance is something we are looking forward to when choosing a Thank You card, sometimes something simple might have more impact. This minimalistic greeting card is just the thing you’ll need in order to convey your feeling to that someone special. So, whether it’s for a colleague, best friend, significant other or a member or the family, this colorful Thank You card will get the message across. In summary, you can further customize any Thank You card template example above to become more personal. For the best results, we advise you to purchase an envelope that is slightly bigger than the invitation. This way, you’ll make sure that the card fits the envelope and that the addressee won’t have a hard time getting the Thank You card out of its envelope.